The Sinai Scholar Society approved this year the opening of a new branch in Rome, the first course limited to 10 participants was filled up quickly and two more places were added. At the first class a lively discussion ensued about “Jewish Identity”, the topic of the lesson. 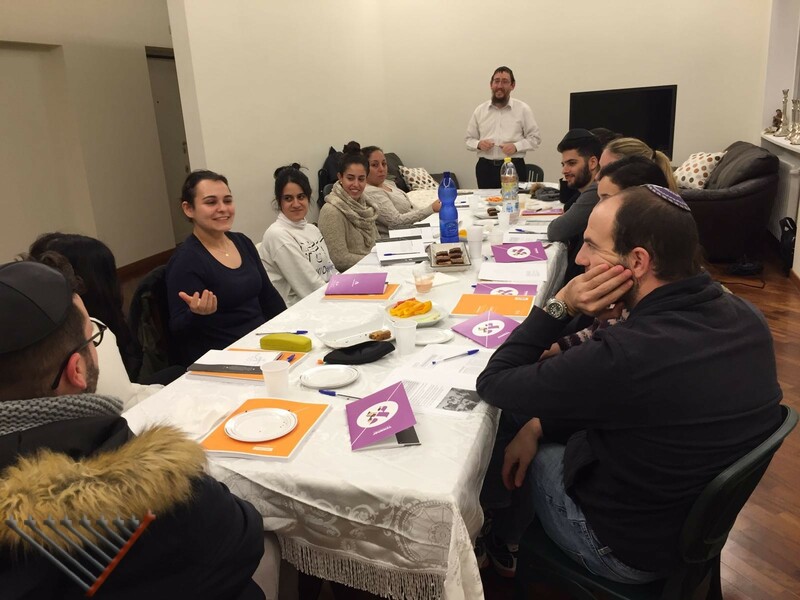 The Sinai Scholar Society is a joint project of Chabad on Campus and the Jewish Learning Institute, the Core course explores the core elements of Jewish thought with real life experiences. The students meet for 8 classes of two hours, they participate in a Shabbat experience, visit a Mikva, volunteer in programs with special needs people and complete a research paper. Students who complete all the requirements receive a certificate of completion at the graduation and a stipend which encourages them to take many hours off their studies to dedicate to this Jewish experience. This entry was posted in News on November 8, 2017 by Menachem Lazar.